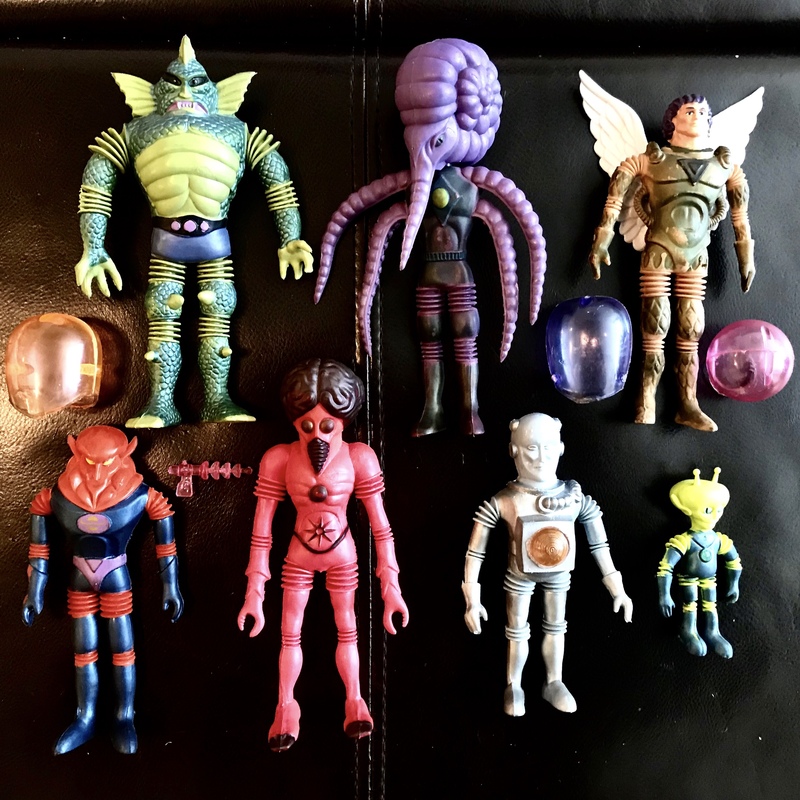 THIS IS A COMPLETE SET OF THE 1968 VINTAGE FIRST SERIES OUTER SPACE MEN FIGURES. 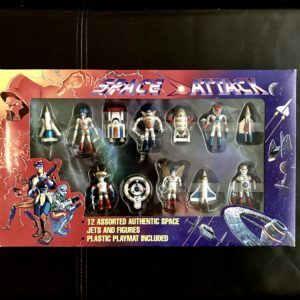 THIS IS A SUPERB SET OF ACTION FIGURES WITH MINIMAL WEAR. THE INTERNAL SKELETONS ARE ALL PERFECT WITH NICE TIGHT LIMBS AND LEGS. THE PAINT IS STUNNING ON ALL OF THE FIGURES WITH ONLY THE MOST MINIMAL OF LOSS OF COLOR. THERE ARE NO RIPS, TEARS OR CHEW MARKS ON ANY OF THE FIGURES. THE SET COMES WITH A VERY NICE ASSORTMENT OF ACCESSORIES. XODIAC HAS HIS HELMET AND RAY GUN, COMMANDER COMET HAS HIS HELMET AND ELECTRON+ COMES WITH HIS HELMET AS WELL. ALL OF THE ACCESSORIES ARE ORIGINAL. YOU WILL NEVER SEE ANY OF THE CHEAP REPRODUCTIONS ON THIS SITE. THIS IS AN INCREDIBLE SET OF FIGURES AND BELONGS IN A VERY SERIOUS TOY COLLECTION.